Technology has become an essential part of our lives. Whether it is for work or fun, we are spending more time on our smartphones, tablets, and computers. In fact, since 2000, the time the average American spends online each week has risen from 9.4 hours to 23.6. 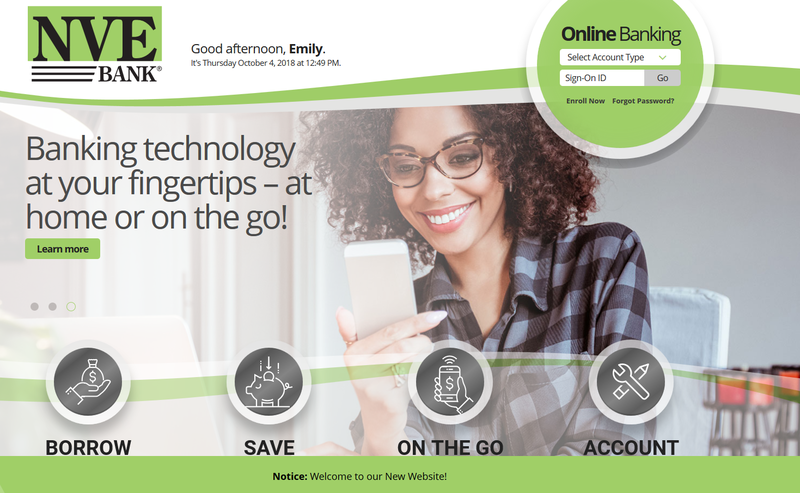 So, as we recognize National Cyber Security Awareness Month (NCSAM), it’s important to stay up-to-date on ways to protect our data from cyber criminals, as well as understand the steps taken by NVE Bank to make online banking on our website safe and secure. We are all susceptible to cyber crime, including those of us in Bergen County. According to the New Jersey Office of Attorney General (NJOAG), 676 data breaches affecting more than 116,000 people were reported to the State Police in 2016. Here are some tips to prevent you from becoming part of this statistic. Keep Your Machine Clean – To protect your valuable data, make sure your mobile devices, tablets, PCs and laptops have the most current security software, web browser, operating system and apps. Speaking of apps, you should delete any that you don’t use regularly. These are the best lines of defense against cyber criminals and their nefarious ways. Conduct Periodic Security Checkups – Even if you have installed the latest security software, you should get in the habit of checking your devices for viruses and spyware. There are plenty of free tools available to do this, including a virus and spyware scan from Best Buy and Webroot. Strengthen Your Passwords – Make it hard for cyber criminals to break into your online accounts by using long passwords and passcodes or activate touch ID features to lock your devices. These measures are particularly important to protect your contacts, photos, videos, and health and financial data, if your devices are lost or stolen. A good rule of thumb is to make your password a sentence that is at least 12 characters long. Try to use common phrases so they are easy to remember. To check how difficult your logins will be to decode, visit Last Pass, a secure site that tells you if your password is strong enough to keep you safe online. Another recommendation is to separate passwords for every website – or at least split your work and personal accounts. To keep it all organized, maintain a list in a safe, secure place away from your computer. You can also use a password manager or similar service to store them. Don’t Get Burned By A Hotspot – Some stores and malls, including Bergen Town Center and the Garden State Plaza, offer free Wi-Fi as a convenience to shoppers. Just remember that public wireless networks and hotspots such as these are not secure, which means outsiders can potentially see what you are doing while you are connected. To protect yourself, avoid logging in to key accounts like email and financial services on these networks. Keep Your Device on Lockdown – Usernames and passwords are not enough for key accounts like email, banking and social media. Consider two-factor authentication (2FA), which is an additional layer of protection. It significantly decreases the risk of a hacker accessing your online accounts by combining your password with another element, such as a security key, biometrics, or one-time codes that are sent to you via text or email after entering your username and password. Interested in learning more? The National Cyber Security Alliance (NCSA) has helpful tips to keep you safe as your surf the web on its website – https://staysafeonline.org/ – including a cyber security infographic that can serve as a useful reminder throughout the year. Greater Verification – All .bank websites are verified by one of the country’s leading cybersecurity and technology companies. These sites must also be periodically reverified to ensure the domain is owned by a legitimate financial institution. This higher level of verification is supported by security technologies such as Domain Name System Security Extensions (DNSSEC) to ensure you will not be redirected to a fake and malicious website. 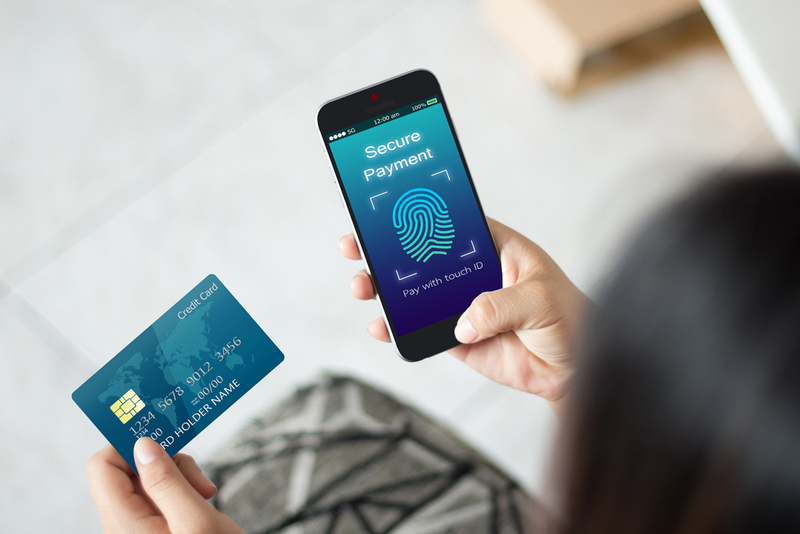 Advanced Security Requirements – All .bank domains must meet stringent security requirements that mitigate phishing, spoofing, cybersquatting, man-in-the-middle attacks, and other malicious activities conducted by cyber criminals. These requirements are periodically updated to meet changing security needs and address new online threats. Additionally, the new NVE Bank website has Encryption/Transport Layer Security (TLS) that creates an encrypted connection to ensure safe and secure transmission of information and transactions. Learn more about NVE Bank by visiting our safe and secure website, stopping by one of our convenient neighborhood branches, or calling 1-866-NVE BANK (683-2265) to speak with a branch associate. This entry was posted in cyber security, identity theft, mobile identity theft, mobile security and tagged "National Cyber Security Alliance", "National Cybersecurity Awareness Month", cyber aware, cyber security, mobile security, privacy. Bookmark the permalink.